When Tony Roberts first published Delight in Disorder: Ministry, Madness, Mission, I was immediately intrigued by the title and subtitle. In the context of church life, I understood ministry and mission. I even understood mental health and mental illness–but madness? Sandwiched between ministry and mission, the frank term made me want to learn more. 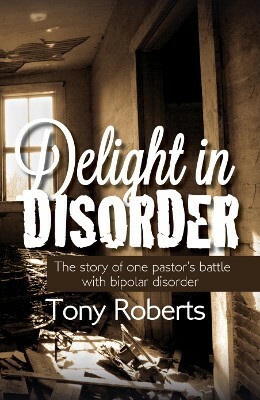 I eagerly read Tony’s book on his experience as a pastor with bipolar disorder, and wrote a review on my writing blog. Now that I’m writing specifically in the area of church employment, and in honour of Mental Health Awareness Month, I invited Tony to join me for an interview and excerpt from his book, Delight in Disorder: Ministry, Madness, Mission. Welcome, Tony, and thank you for your willingness to engage in this conversation with me. How would you describe your journey with bipolar disorder and being employed as a pastor? I entered pastoral ministry in 1991. I had been in sporadic group therapy for a couple of years with symptoms of depression. By God’s grace, my mania had only manifested itself as feverish energy I could channel into study and work. 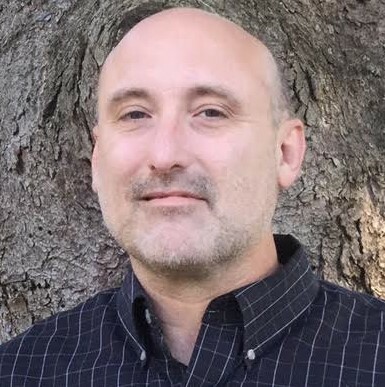 When my oldest daughter was born (March, 1992), I escalated into a mania that at first seemed like being a super-involved dad. Within a week, however, my mood shifted to a mixed state. I worked countless hours at church and, when I was home either yelled at my daughter’s crying or hid in my bedroom. At church, I was able to function similar to how I functioned as a student. When I was manic, I got way ahead (by as much as six sermons that I could draw on); other weeks I was depressed. 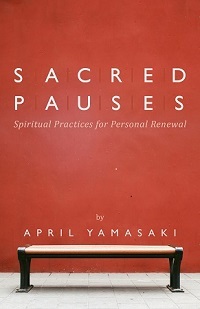 Looking back, though, there were certainly times I was as emotionally and spiritually absent at church as I was at home. Was your church previously aware of mental health and mental illness issues? In 1994, I was called to a different church. In early 1995, I had a full-blown manic episode with psychotic features. I voluntarily admitted myself to the hospital. God had laid the ground work. A trio of women from the church who worked in the mental health field educated and shepherded the congregation through those difficult first days. My denomination (Presbyterian) provided pastoral and administrative leadership in the interim I would be out. That’s good to hear. Can you say more about support from your local congregation? I was incredibly blessed to receive support from the faith community in so many ways. I spent six weeks in the psychiatric hospital and never saw a bill. What my insurance didn’t pay, a special offering from churches did. I was told I could take as much time as I needed to get well and that my position would be there when I could return. My children were ages 3 and 1, and volunteers provided child care so my wife could visit. Someone coordinated meals. It was amazing. What else could a church do when their pastor or other church employee is dealing with mental health issues? One of the best gifts I was given by this church was the freedom to discuss my illness as part of my overall ministry. I am not my illness, but it is part of me. The church did not pressure me to keep silent about it. In fact, after I came back to work full-time, several people in church and in the community came to me for counsel related to mental health issues. The best thing the church has done for me over the life of my ministry is pray. Specifically, not generically. Of course, this requires consent from the person with the mental health diagnosis, but the more we make prayer for folks with troubled minds an ordinary part of our personal and public prayers, the less pressure we put on those trying to hide it. What cautions would you offer? The most problematic relationships I had were either with those who thought my illness was contagious (avoiding me like the plague) or thought that I was so fragile that they couldn’t bring their own burdens to me. One other problem I can envision is when a church member begins to believe she can be the pastor’s therapist. As much as possible, we need to pray for and serve alongside our pastors, not diagnose and try to treat them. What do you recommend for pastors and other church employees to work at their mental health? God gives us so many means to promote healing. 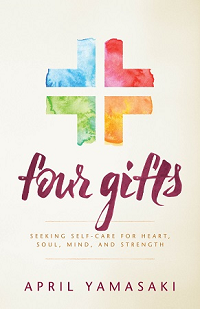 Kathryn Greene-McCreight in her book, Darkness Is My Only Companion, applies the strength of the proverbial expression “a threefold cord is not easily broken” (Ecclesiastes 4:12). I have likewise discovered God at work through faith and medicine, prayers and pills, worship and therapy. I would appreciate your prayerful support in my new vocation which has begun with my spiritual memoir, Delight in Disorder: Ministry, Madness, Mission, and now is extending to my website: Delight in Disorder. Within the limitations of my illness, I hope to do some public speaking and perhaps develop a podcast. My mission is to spread the hope of Jesus Christ with folks like me who have unquiet minds, and shatter stigma within the church towards persons with mental illness. Looking back over my nearly twenty years of parish ministry, I’ve served some pretty great congregations. Certainly, there were particular individuals who tried to make my life miserable (as there always are). On the whole, however, the churches I’ve served have been warm and welcoming bodies of Christ who have helped me function to my fullest as a minister with a mental illness. Brothers and sisters in Christ can be a great help or a tremendous hindrance to someone who has bipolar. I have been blessed to serve alongside many who have challenged me to do my best while still loving me at my worst. This combination has helped keep me relatively balanced; together we’ve been able to accomplish some wonderful things in the spirit of the LORD. As with the course of my illness, I had many peaks and valleys in my years of pastoral ministry. It is true that at my worst, when I needed intensive treatment, church members had to carry a greater load (though in my denomination, they often received guidance and support with this). I was absent for lengthy stretches during treatment. When I was physically present, I was sometimes so emotionally stymied that I could perform only basic tasks. 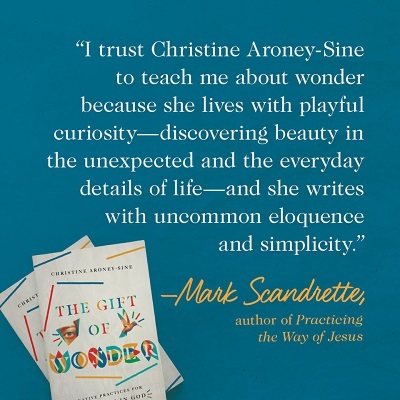 For a good portion of my ministry, however, God graced me with the ability to balance my commitments, to be creative and care compassionately as a “wounded healer.” My experience of confinement (a sort of “exile”) in psychiatric hospitals gave me unique insights into the spiritual needs of persons in prison, home-bound, in nursing homes, or hospitals. My struggle to function while depressed encouraged people who experienced dark times themselves. My journey through recovery from addiction inspired many taking their first steps away from destructive drugs and harmful habits. You might think it improbable that a congregation can be successfully led by a minister with a mental illness. But while it is difficult, it is entirely possible. All it takes is a commitment to be faithful within the covenant God has given us–to keep each other honest and true as we each do our part for the work of the LORD. It can be challenging, but when it happens well, what a testimony it is to God’s grace! 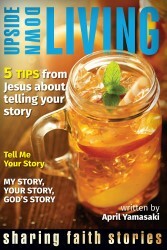 What counsel or resources would you suggest for churches and church employees living with mental illness?